March 11, 2011, saw a massive undersea earthquake spawn an equally formidable tsunami, and — as the world watched in horror — the wall of water slammed into the Japanese coast, knocking Tokyo Electric Power Company-operated Fukushima Daiichi nuclear power plant offline. Anyone who watched the cataclysmic situation unfold on live TV surmised the dire consequences of having situated a nuclear facility in one of the world’s most active fault zones — and on the Pacific coast — but the cost in radioactive impact of the disaster has yet to be fully assessed. That, for one, concerns Tepco’s notorious penchant for underreporting and misrepresenting the fiasco that has been the cleanup effort; and, for another, the unrelenting campaign to label anyone rightly concerned about the extent of damage a tinfoil hat-wearing lunatic. Both of those conditions must be resolved — particularly with the discovery of astonishing radiation levels present in the Number 2 reactor — because the world deserves the truth about the catastrophe and to not be denounced when expressing fears information about Fukushima might not be as innocuous as we’ve been told. Obviously, this complicates matters quite a bit for workers tasked with containing radiation, assessing total damage, and ultimately decommissioning Fukushima Daiichi — medical personnel reportedly cannot handle the kinds of illnesses these levels would cause. Alarmingly, officials can’t pinpoint a reason for the colossal spike — they don’t know if previous readings were incorrect, inadequate, or if something altogether unforeseen is taking place inside the eviscerated reactor. 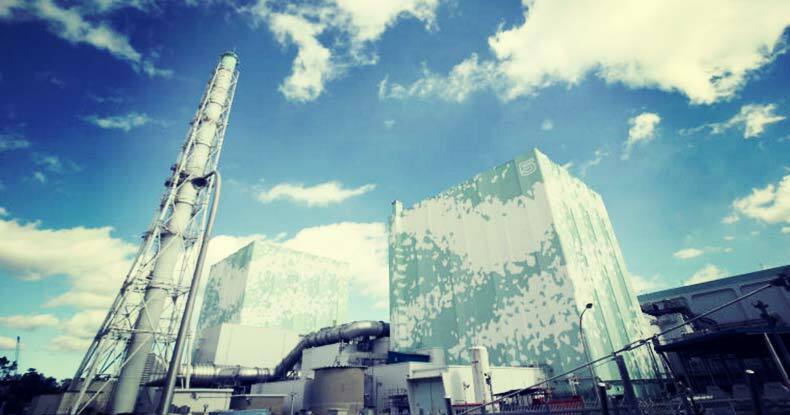 In fact, Tepco has yet to find the radioactive fuel which melted through the bottom of the containment vessel not long after the tsunami crippled the plant’s backup cooling system — but it hasn’t been for lack of attempts. Highly-specialized, camera-equipped, remote control vehicles have explored the interior of reactors to determine what physically happened to the fuel, but — despite the ability to withstand conditions humans can’t — radioactivity has been so intense, it kills the robots. When one of those remotely-operated vehicles explored the Number 2 reactor recently, it happened upon a 6.5-foot gash in the grating under the containment chamber’s pressure vessel, likely caused by nuclear fuel melting through — but Tepco officials aren’t entirely sure of that, either. A new camera-toting remotely-operated vehicle — designed to endure up to 1,000 sieverts per hour — had been slated to explore the newly-troubled reactor, but doubts about what caused the spike forced Tepco to reschedule its March deployment for the Number 1 reactor. Melted nuclear fuel is suspected to have wound up on the floor of the containment vessels of the three reactors which suffered core meltdowns at Fukushima — but radiation has been so acute, even that assessment has proven impossible. A dark mass appeared in footage taken of the hole in Number 2, but Tepco officials could not say with certainty it was the missing, melted uranium fuel rods. In order to fully decommission Fukushima Daiichi — a process now projected to cost a whopping $190 billion and take no less than four decades — details surrounding the extent of destruction must be measured and quantified. “Confirming the conditions inside the reactor is a first step toward decommissioning,” Japanese Minister of Economy, Trade and Industry Hiroshige Seko told the press Friday, as quoted by the Japan Times. Considering so little is currently understood about the catastrophe — from the location of melted uranium rods to the cause of the abrupt and troubling spike in radiation — perhaps so-called conspiracy theorists who doubt the ‘Fukushima is under control, don’t worry about it’ narrative are the only ones displaying a modicum of common sense.